Believing in, and practicing the historic principles of Biblical authority, autonomy of the local church, priesthood of all believers. the two ordinances of baptism and the Lord’s Supper, individual soul liberty, a saved, baptize membership, the two offices of pastor and deacon, and separation of church and state, we have covenanted together to establish a Baptist church whose beliefs, teaching, and practices are based on the fundamentals of the faith of our Lord and Saviour Jesus Christ. We believe the Bible, those sixty-six books comprising the original Old and New Testaments, to be verbally and plenarily inspired of God. We believe the Scriptures not only contain but ARE in totality the very WORD OF GOD. This makes the Scriptures without error and therefore the sole authority for all matters of faith and practice. 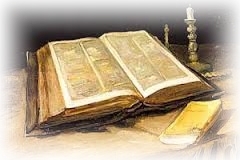 Therefore, all experiences, traditions, creeds, and conduct are to be examined in the light of the Holy Scriptures. We believe the Scriptures are to be interpreted literally according to the general rules of English grammar. We believe that there is but one living and true God, eternally existing in three persons: Father, Son, and Holy Spirit, equal in every respect (e.g. : Holiness, omnipotence, omniscience, omnipresence, immutability, and glory), and executing distinct but harmonious functions in the great work of redemption for man. We believe the eternal, only begotten Son was conceived by the Holy Spirit in the womb of the virgin, Mary; He being then God manifest in the flesh as fully God and fully man. He lived an absolutely sinless life and died a vicarious physical death on the cross to make atonement for the sins of mankind by the shedding of His own blood. He was buried for three days and nights; He rose bodily from the grave and ascended bodily into Heaven where He sits at the right hand of God. We believe that the Holy Spirit is a divine person, equal with God the Father and God the Son, whose task is to glorify God by convicting men of sin, regenerating those who believe on Christ, and empowering the saved to live to the glory of God. We believe that at the moment of salvation, the Holy Spirit regenerates, baptizes, indwells, and seals all believers. The baptism of the Spirit takes place at salvation and is not manifested by unusual signs such as speaking in tongues, and is not to be confused with the filling of the Spirit which we are to seek as we yield to His control. The Holy Spirit empowers, guides, teaches, fills and sanctifies believers. We believe in the Biblical account of the creation of the physical universe, angels, and man; this account is neither allegory nor myth, but a literal, historical account of the direct, immediate creative acts of God without any evolutionary process. This creation took place within a period of six twenty-four hour days. Man was created by a direct work of God and not from previously existing forms of life; and that all mankind is descended from historical Adam and Eve, the first parents of the entire human race. We believe that man was created in innocence under the law of his Maker, but by voluntary transgression fell from his sinless state in consequence of which all men are now sinners, not only by constraint, but of choice and therefore are under the just condemnation of God and without defense or excuse. We believe man has freedom of will and must individually make a decision about Christ and therefore about his own eternal destiny. We believe in the reality and personality of Satan, the Devil. He was created by God as an angel, but through pride and rebellion became the enemy of His Creator, the unholy god of this age, and the ruler of all the powers of the darkness. He seeks to turn mankind from the Lord and is destined to the judgment of an eternal justice in the Lake of Fire. We believe the salvation of sinners is divinely initiated wholly of grace through the mediatorial work of Jesus Christ, Who voluntarily took upon Himself our nature, yet without sin, and laid down His life on the cross, shedding His blood as an atoning sacrifice for the sins of the whole world; that salvation is totally the gift of God received by the repentant sinner through personal faith in the Lord Jesus Christ. We believe this is an instantaneous one time act, not a process, and it imparts the righteousness of God to the sinner who believes in the finished work of Christ. 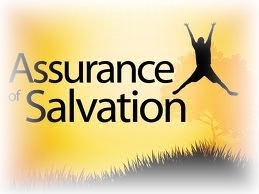 We believe man can do no work to obtain salvation; he must simply believe and receive Christ’s work. We believe that the true believer; once saved, is kept secure forever; that he has eternal life and shall never come into eternal judgment for his sins. We believe the church is set forth in Scripture in two distinguishable categories; first, the universal church which is composed of all true believers and is called the body or bride of Christ. The universal church will never meet as an assembly before the rapture of the saints. And second, the local church, existing from Pentecost until the rapture. We believe the local church is an organized congregation of immersed believers, associated by covenant of faith and fellowship of the gospel; observing the ordinances of Christ; governed by His laws; and exercising the gifts, rights and privileges invested in them by His Word; and that its officers are pastors and deacons whose qualifications, claims and duties are clearly defined in the Scriptures. We believe the true mission of the church is the faithful witnessing of Christ to all men, and the building up and edifying of the saints. We hold the local church has the absolute right of self-government free from the interference of any hierarchy of individuals, organization, or civil government (the last in respect to religious matters); the one and only Superintendent is Christ through the Holy Spirit; it is Scriptural for true churches to cooperate with each other in contending for the faith and for the furtherance of the gospel; each local church is the sole judge of the measure and method of its cooperation; and in all matters of membership, of polity, of government, of discipline, of benevolence, the will of the local church is final. We believe there are two ordinances given to the local church: baptism and the Lord’s Table. We believe baptism is the immersion in water of the believer after salvation. We believe the Lord’s Table is the commemoration of His death until He comes, by the use of unleavened bread and the fruit of the vine. We believe, in order to be obedient to Biblical commands, we are to separate ourselves unto God from worldliness and ecclesiastical apostasy; and that the latter prohibits fellowship or cooperation with any group or church espousing or sanctioning modernism, liberalism, the “social gospel”, ecumenism, the charismatic movement, or the new-age movement. We believe sanctification is the divine setting-apart of the believer unto God, accomplished in a threefold manner; first, an eternal act of God based upon redemption in Christ, establishing the believer as holy before God at the moment he trusts Christ; second, a continuing process within the saint, as the Holy Spirit applies the Word of God to the life, bringing about separation from worldly pleasures and practices and an attention to self-examination, watchfulness, and prayer; and third, the final accomplishment of this process to take place at the Lord’s return when believers in Christ will be removed from the power of sin and then forever removed from the presence of sin in the new heavens and earth. We believe in the bodily, personal, imminent, pre-tribulation and pre-millennial coming of Christ for His saints. At that moment the dead in Christ shall be raised in glorified bodies; the living in Christ shall be given glorified bodies and shall be caught up to meet the Lord in the air; and after seven years of Tribulation on the earth, Christ will return to the earth with His saints to establish His millennial kingdom. We believe in two separate judgments: the first for the saved and the second for the lost. We believe that the judgment of the saved takes place immediately following the rapture of the saints at the judgment seat of Christ, at which time they are judged for gain or loss of rewards, not for salvation and entrance to Heaven. There is the judgment for the lost that takes place after the millennial reign of Christ at the Great White Throne in which they are judged and committed forever to the Lake of Fire. We believe that the command to give the gospel to the world is clear and unmistakable and this Commission was given to the local churches. We believe that Scriptural giving is one of the fundamentals of the faith. We are commanded to bring our gifts into the storehouse (common treasury of the local church) upon the first day of the week. Under grace we give and do not pay the tithe (“Abraham GAVE the tenth of the spoils”, Heb.7:2, 4,), this was four hundred years before the law, and is confirmed in the New Testament. 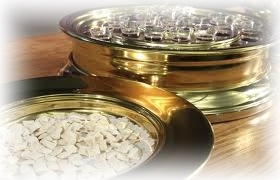 Jesus said concerning the tithe, “‘These ye ought to have done” (Matt. 23:23).